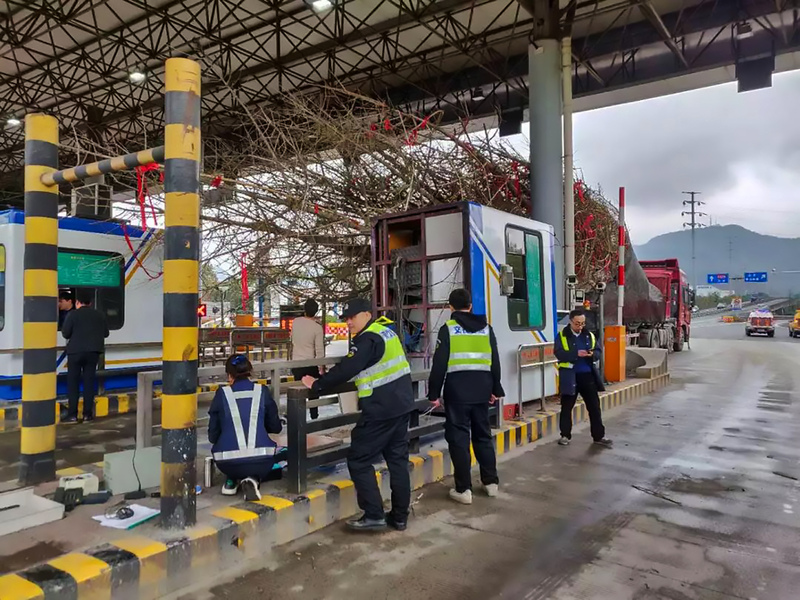 This is the moment a toll station employee clings on for dear life when his toll booth is overturned by a lorry hauling a shipment of huge trees. 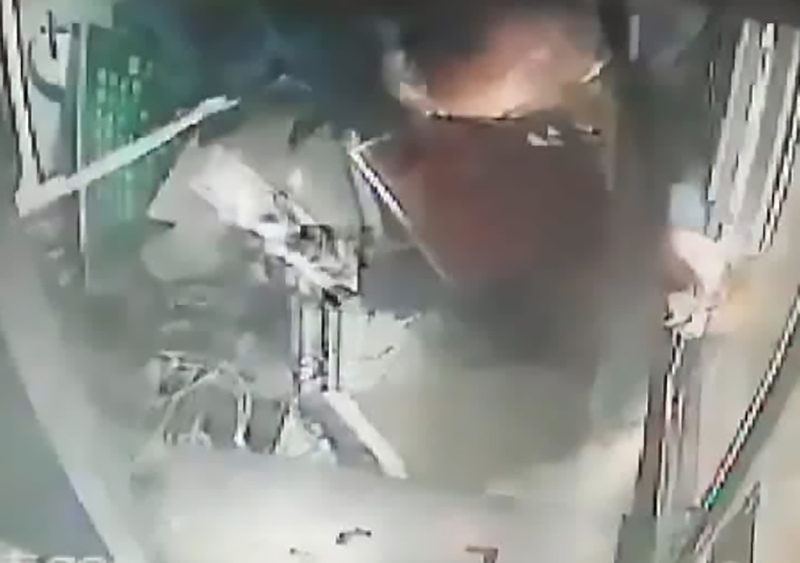 A CCTV camera inside the tiny booth captured the dramatic accident at the Lingfeng Toll Station in Ningbo, which is in East China’s Zhejiang Province, as the lorry drove past in a neighbouring lane. 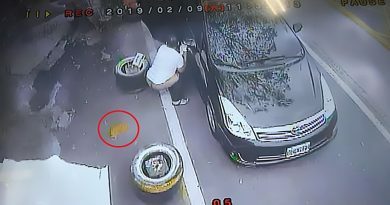 In the footage, an employee, surnamed Wang, can be seen sitting inside the booth and servicing his own lane when the the tree branches are heard scratching against the outside of the structure. Wang looks out the opposite window and, without warning, his entire booth begins shaking. 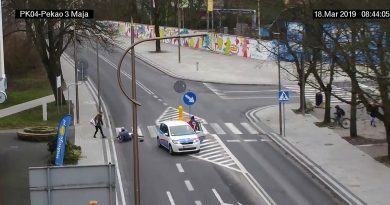 It is suddenly lifted up off the ground and overturned onto its side by the trees, which had snagged on the structure and uprooted it with Wang still inside. 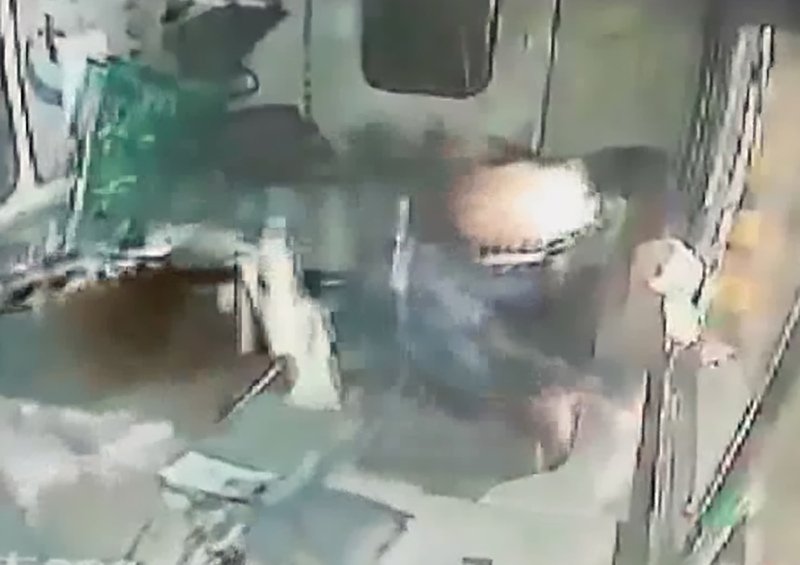 The screaming employee can be seen holding on to a window frame for dear life as the booth flips over and he ends up sitting on what used to be his wall. 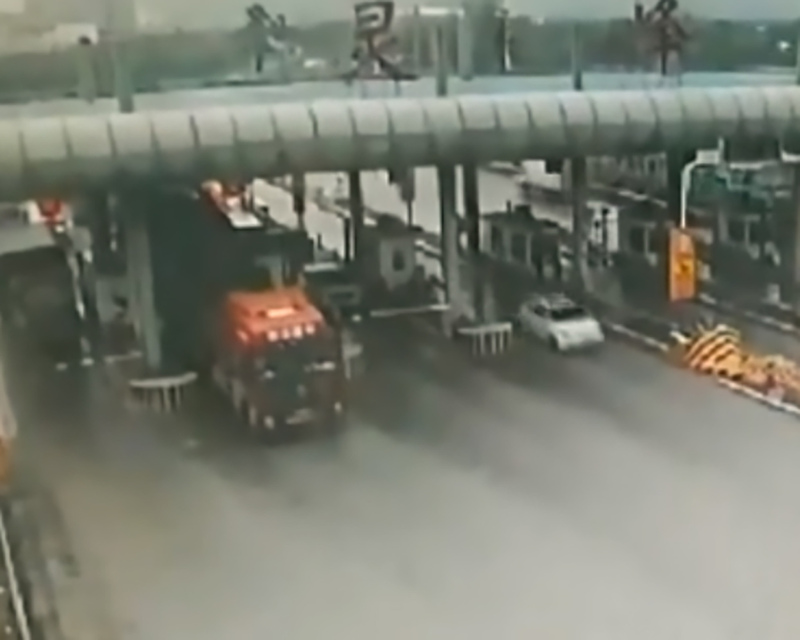 Fortunately, the lorry driver, surnamed Zhao, realised his blunder and stopped the vehicle before the booth could be flipped again. 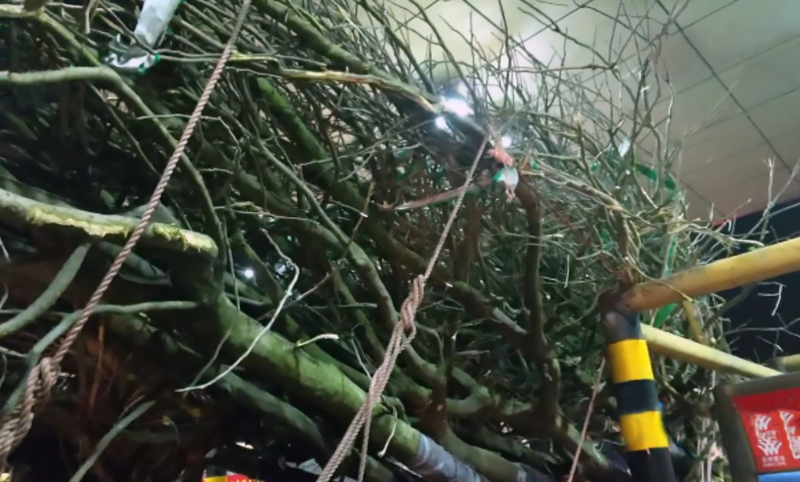 Zhao revealed to authorities that his shipment included 11 trees, each 9 metres (30 feet) tall. 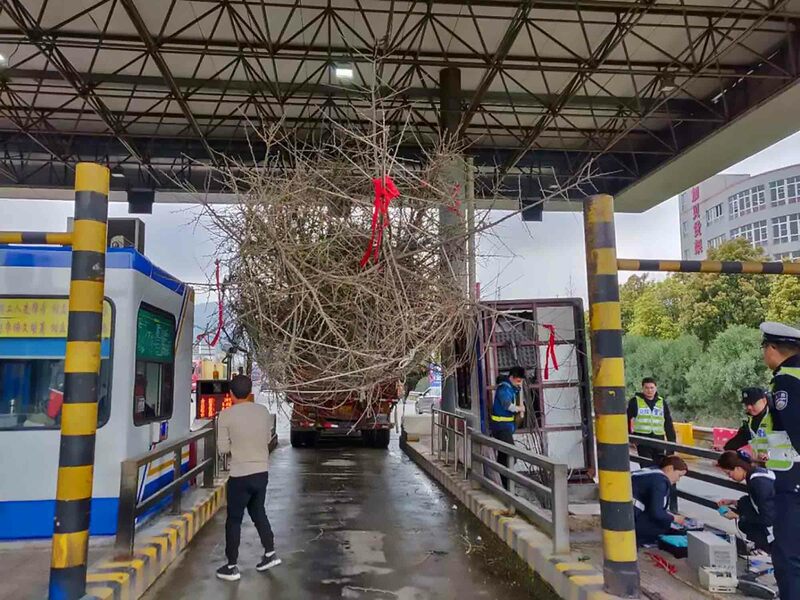 He had tied the trunks and branches together before setting off because of the width of the cargo, but he could do nothing about the length. 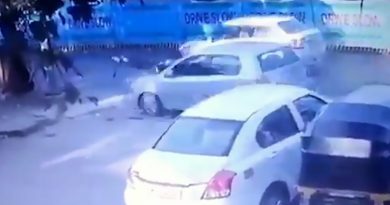 He claims he forgot he was hauling the trees when he passed through the toll station, leading to the accident. 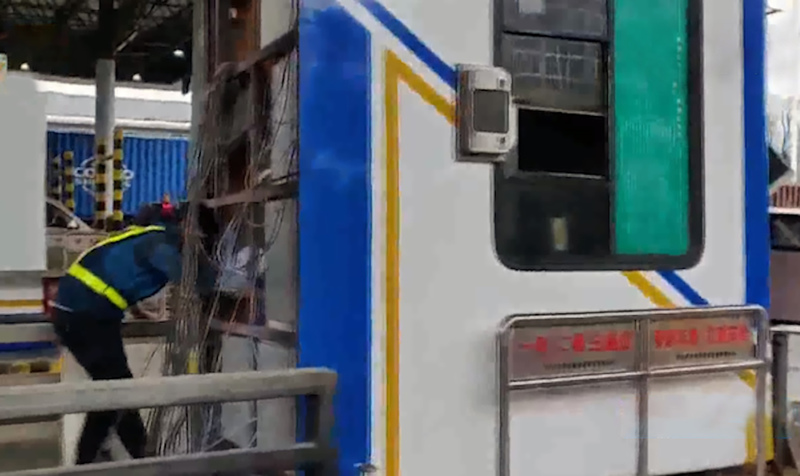 Local police are investigating the incident and may fine Zhao for overloading his lorry trailer. 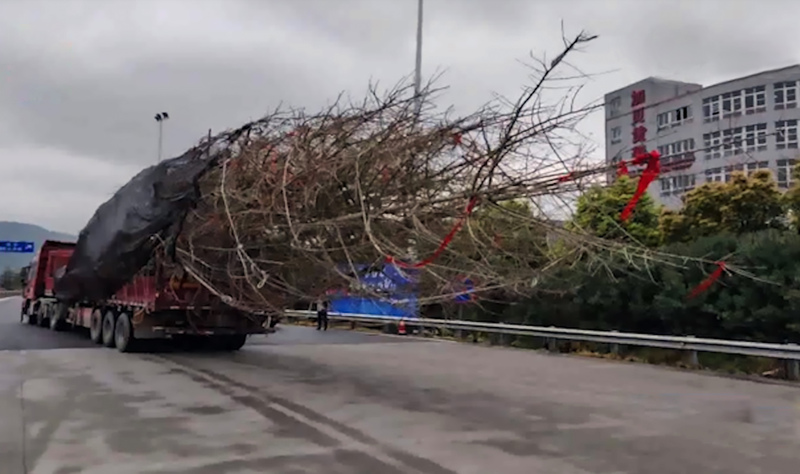 The trees were reportedly being taken to Lingfeng City in order to be planted on a median strip.